CARFAX One-Owner. Clean CARFAX. 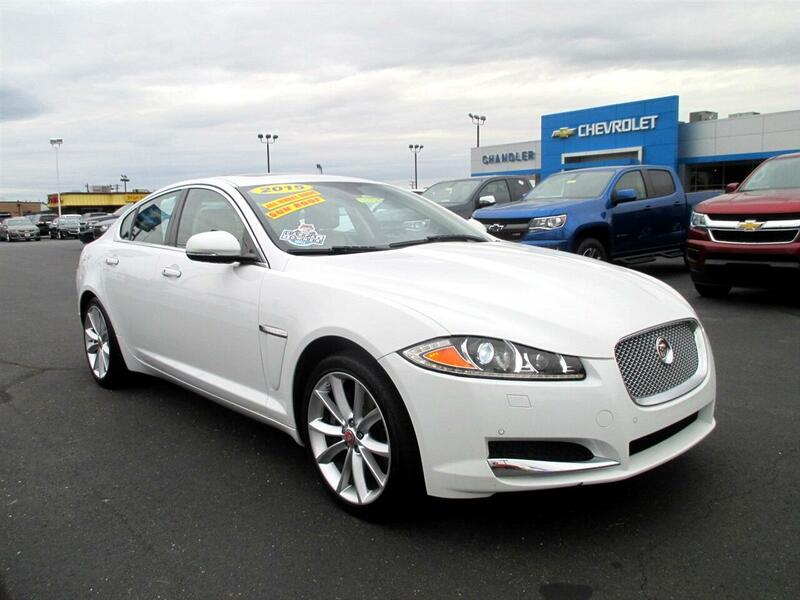 Polaris White 2015 Jaguar XF 3.0 Sport AWD 8-Speed Automatic V6 Supercharged AWD - Never Worry About the Weather Again!, Clean Carfax - 1 Owner, 6cyl - Unbelievable Pick-up!, XF 3.0 Sport, AWD, Polaris White.Recent Arrival! Odometer is 1627 miles below market average! 27/17 Highway/City MPGTEXT us on our website. It's easy and no-hassle. Give us a chance to BEAT THEIR PRICE on a new vehicle! Request a quote at chandlerchevroletusa.com! Chandler Chevrolet is conveniently located in Madison, Indiana, near both Louisville and Cincinnati. We put our customers first. If you don t see what you want, new or used, we will locate it for you. We welcome trade-ins and will buy your vehicle whether or not you buy ours; come in for a free, friendly appraisal. Don t have a way to get here? We will come to you or give you a ride. We believe that building good relationships with our customers comes before all else, whether you're considering a new or used vehicle or stopping in for a quick oil change. Call or stop in today and see why we re called The Savings Place ! Visit Chandler Select online at chandlerselect.com to see more pictures of this vehicle or call us at 812-274-2699 today to schedule your test drive. Message: Thought you might be interested in this 2015 Jaguar XF-Series. Sales tax, dealer documentary fee, finance charges and any other necessary fees are additional to the advertised price on all vehicles. Ask for details.